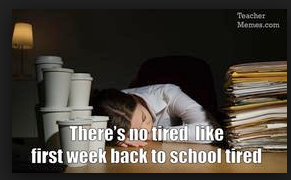 Well the first week of school is in the books! 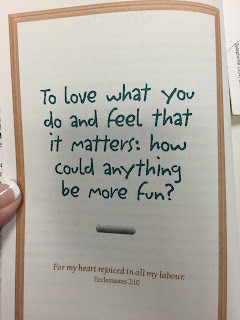 I am so excited about this school year! This year, I begin my 20th year in education, and I begin my 1st year as a student again. Holy moly! I have a lot of ideas floating around in my curly head that I can't wait to try with this group of students. I've met my 7th and 8th graders, and I am looking forward to meeting the 5th and 6th graders that I will work with next week. 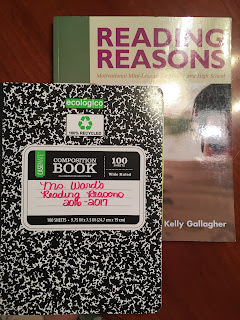 I am really excited about our interactive notebooks (I absolutely adore an interactive notebook- the more colorful, the better), and I'm stoked about FINALLY using Kelly Gallagher's Reading Reasons in my classroom. I heard Mr. Gallagher speak at a writing conference two years ago. 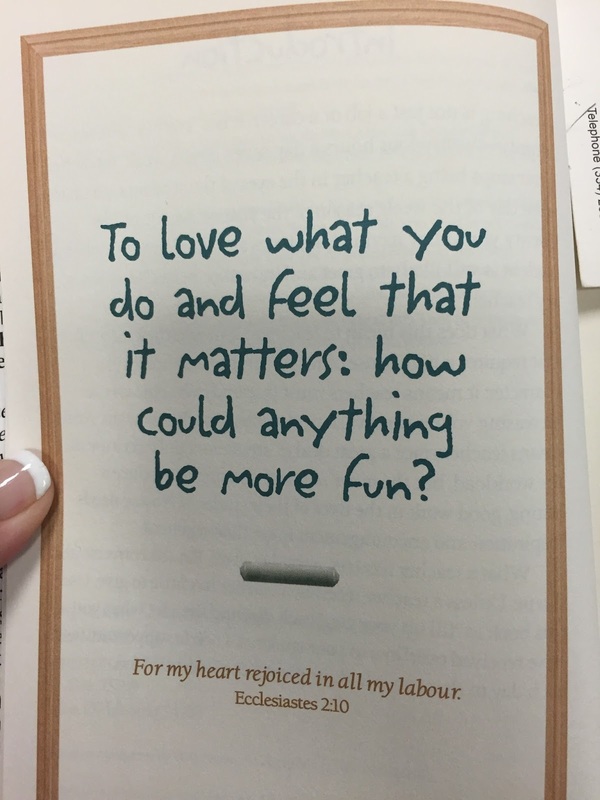 I bought his book, but I haven't been able to work his motivational mini-lessons into my classroom. Well... this past Friday, WE SET UP OUR READING REASONS NOTEBOOKS! I'm so thrilled to do the Reading Minute tomorrow! We will begin using our Reading Reasons notebooks tomorrow. This week, we will focus on teenage health related articles. I will provide the Reading Minute until October, and then..... students will take over the Reading Minute in class. How cool is that???? Each student will be responsible for one Reading Minute each month. They will provide the article, poem, excerpt from a novel, etc. for us to summarize in ONE sentence. We will do the Reading Minute daily in class, and we will work on one of the nine reading reasons weekly in class. 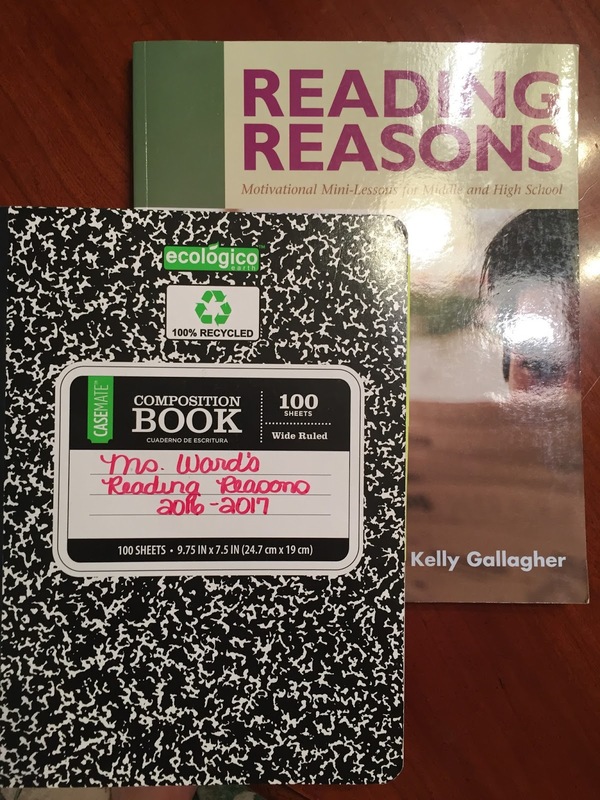 Research taken from Nanci Atwell's In the Middle indicates that seventh and eighth graders that read ONE 200 page book a month will read an average of ONE MILLION words in a year! Can you imagine? What is even more mind blowing to me is that this number only means a student will be reading 60 hours A YEAR!! I think every middle school student can read 200 pages a month. If we have 20 school days in a month, that equals each student reading only 10 pages a day. Can you imagine the growth these students will see in their reading levels if they only read 10 pages a day? We are also using Moby Max in class to progress reading and language skills as rapidly as possible. Moby Max is an on-line program that provides direct instruction on skills that students need to close academic gaps and to prepare students for grade level material. All of the seventh and eighth graders in my class have completed their reading and language placement assessments. They know where the assessments scored them. They also know how to chart their progress to see how quickly they can fill any gaps. We will be using Moby Max twice a week to work on Reading and Language. Your child can access the program from home as well. A parent letter was sent home Thursday with your child's username and password, along with directions on how to access Moby Max from home. I can't wait to see the amount of progress made when students take the placement tests again in January. I think this sums up how I feel about my class this year! I'm looking forward to watching what these students will do this year!